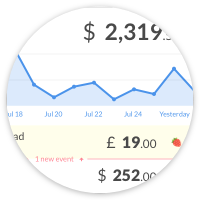 Share Stripe events with your team in Slack. 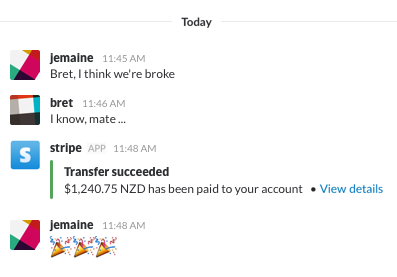 Stripe notifications in Slack can be a great complement to CashNotify. Their advantage: everyone belonging to the channel will see them. 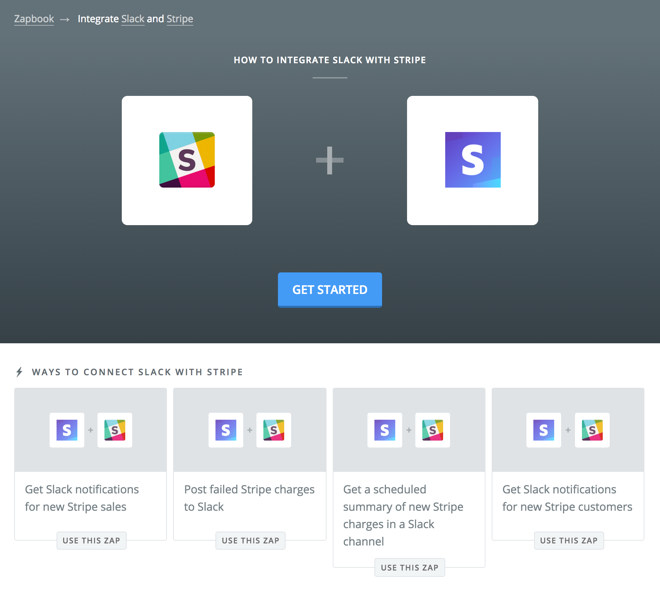 Your first option is to use the Stripe app available in Slack’s app directory. Authenticate your Stripe account and follow a few more instructions to setup this integration. Choose which events you’re interested in, and which channel the app should post notifications to. Your second option is to use an automation platform like Zapier, IFTTT, or Automate.io. You can pick from ready-to-use recipes or write your own. Zapier and IFTTT offer different triggers (new charge, refund, customer, dispute, etc.). You may need both to get all the notifications you want. 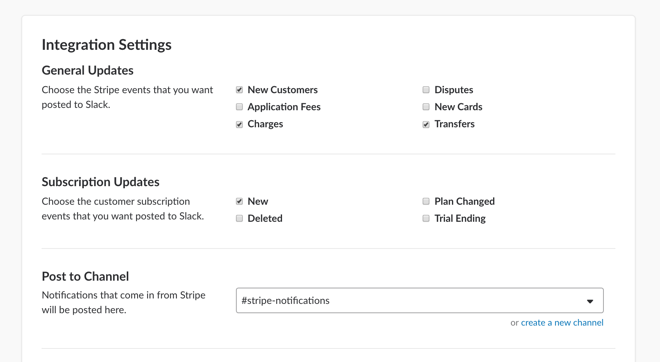 Try the “zaps” for connecting Stripe with Slack here. 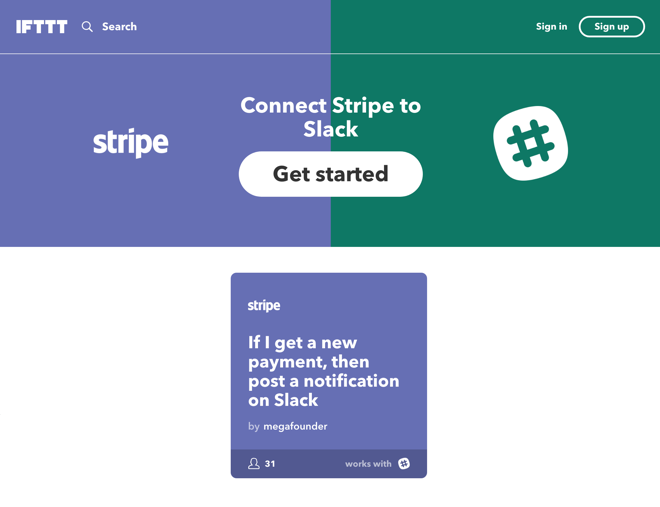 There is only one ready-to-use applet for integrating Stripe with Slack as we write this, you can find it here. 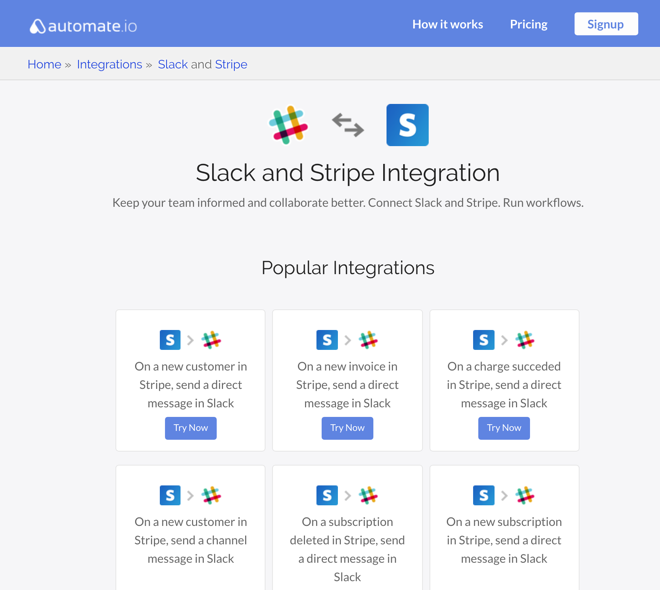 Try the integrations for connecting Stripe with Slack here. Your third option is to use an analytics platform and configure it to post its reports to Slack. Statsbot is a complete analytics platform. It has integrations with Stripe, Google Analytics, Mixpanel, SQL. And it comes with a Slack bot. You need an Enterprise plan to add a Stripe integration. But they keep the price hidden, your only option is to “Request a demo”. Revealytics provides key SaaS metrics from your Stripe account in Slack. Their reports include MRR, churn rate, CLTV (customer lifetime value). It is free “while in beta”. 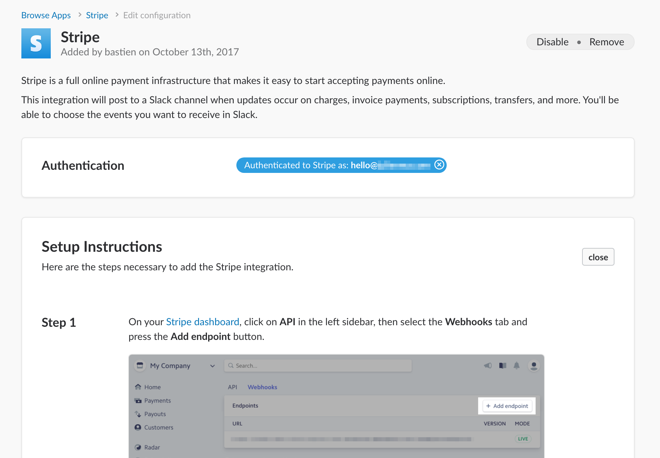 If you need more customization, you can use Stripe and Slack APIs. They are both superbly designed and documented. A very simple option for hosting your app is Glitch. They even have blueprints to help you write your first Slack integrations. Do you want real-time Stripe notifications in your menu bar? Try CashNotify! 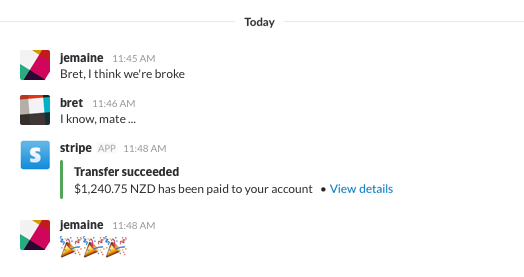 You can always share a revenue update manually to Slack, Twitter, email etc.